Nearly thirty member resorts participated in this year’s initiative to support CHTAEF including properties in Aruba, Bahamas, Barbados, Bermuda, Cayman Islands, Puerto Rico, St. John, St. Maarten, and other Caribbean destinations. CHTAEF was established in 1986 as a nonprofit, tax-exempt organization. They make scholarships and special assistance programs available for the education of Caribbean hotel industry personnel and students that are interested in pursuing careers in tourism. They also provide people throughout the Caribbean region with an awareness of the industry’s many available career opportunities. 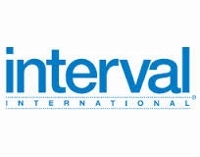 Interval International provides a membership program for vacationers to exchange and travel the world through their affiliated resort properties. Their current network features nearly 3,200 resorts across 80 nations. Learn more about their services on their website.